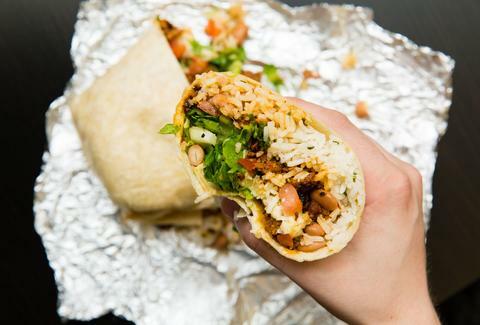 Finally, there's some good news for Chipotle. Just weeks after an industry survey named the burrito purveyor America's favorite fast food Mexican chain, it looks like the company has earned itself some even bigger bragging rights: all of its food is officially preservative free. On Tuesday, Chipotle announced that it has finally completed its longtime quest to serve a menu totally free of preservatives and other additives, with the launch of all-new, revamped tortillas for its burritos, tacos, and chips. After two years of research and development, the chain is now serving flour tortillas with just five ingredients -- flour, water, canola oil, salt, and yeast -- and corn tortillas used for chips with just two ingredients -- corn masa flour and water -- at its restaurants across the US. The old tortillas contained preservatives and dough conditioners. Chipotle said the change makes it the only national restaurant chain that doesn't use any added colors, flavors, or preservatives in its food, according to a press release. In fact, Chipotle's entire menu now features a total of only 51 ingredients, while a single menu item at other fast food or fast casual chains can contain dozens of ingredients. Of course, Chipotle has touted its fresh ingredients for years, such as produce that's often organic and locally sourced, hormone and antibiotic-free meats, and dairy products from cows raised on pasture -- although you were probably too busy stuffing burritos into your face to notice. “We have always used high quality ingredients and prepared them using classic cooking techniques,” Steve Ells, Chipotle's founder, chairman, and CEO, said in a statement. “We never resorted to using added colors or flavors like many other fast food companies do simply because these industrial additives often interfere with the taste of the food. However, commercially available tortillas, whether they are for us or someone else, use dough conditioners and preservatives. I’ve been on a quest for a better tasting tortilla for years, and we finally achieved a tortilla made the way you would make them at home, and they are simply delicious." Chipotle has struggled to rebound after the highly publicized food-borne illness outbreaks tarnished its reputation, but news of the new tortillas appears to have sent the company's stock (CMG) up more than 2% as of Tuesday afternoon. The chain saw its first increase in sales since the crisis last quarter, which came after about a year of comeback efforts like free food deals, new marketing campaigns, and the rollout of numerous new food safety measures at its restaurants. Tony Merevick is Cities News Editor at Thrillist and is actually kind of excited to try a burrito with the new tortilla. Send news tips to news@thrillist.com and follow him on Twitter @tonymerevick.